With over 15 years experience in the industry, Best Price Moving & Storage understands how to take the hassle out of the relocation process. Our mission is simple. We create the most organized and professional moving service for our clients while providing them with excellent customer care. 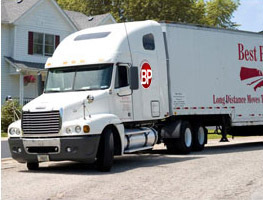 Located in Chicago, IL, Best Price Moving & Storage has the capabilities to service all long distance moves throughout the continental United States. We ensure the safety of your items through a meticulous inventory process, a well-trained staff, a variety of durable packing supplies, a fleet of trucks equipped with the best safety and tracking devices, and a highly secure storage facility. Best Price Moving and Storage observes only the highest standards in the moving industry. Specializing in long distance moves within the continental United States, we ensure that each move is handled with consideration and professionalism. At Best Price Moving & Storage we are committed to consistently providing high quality services to our customers. Every move is closely monitored to ensure that each customer is serviced properly. Through the communication feedback from our Customer Service department, customer feedback and internal controls set in place we monitor departments efficiently and effectively. The staff at Best Price is our biggest asset. We are constantly training and developing our personnel while creating career opportunities that provide advancement within the company. The most visible part of our company is the equipment we have on the road. We are committed to running the safest, most highly equipped vehicles. Significant investments are made each year in road equipment to ensure that the fleet remains in optimal condition for each assignment.